Ubisoft is giving its development teams a little more time to work on their projects. Far Cry 5 has been pushed back a month into March, with The Crew 2 following later in 2018. 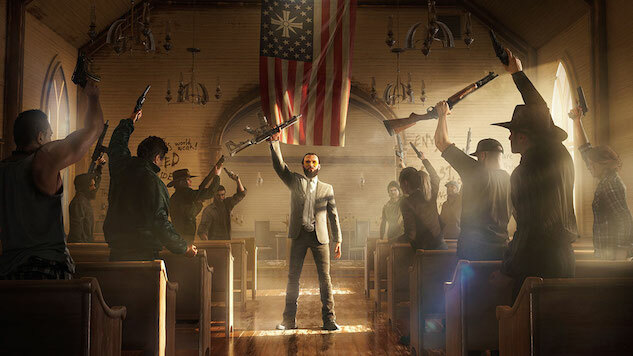 For Far Cry 5, the extra time will allow the team at Ubisoft Montreal to make some additional improvements that will bring the best, most ambitious Far Cry experience in line with the team’s original vision. We’re excited for fans to join the Resistance in Hope County, Montana against the Project at Eden’s Gate cult. The post continues to mention that the blog will have a new look at the open world shooter tomorrow, Dec. 8. Meanwhile, The Crew 2 development team at Ivory Tower will use the next several months to perform additional playtests, gather player feedback, and continue working towards delivering an ambitious open-world racing experience that meets the team’s and our players’ expectations. Additionally, Kotaku reports that another unannounced game from Ubisoft has been delayed from the next fiscal year (April 2018 to March 2019) to the fiscal year afterwards. Far Cry 5 is now set for the release date of March 27, 2018, but at least those who want to spend their time killing white nationalists has Wolfenstein II to keep them busy. Revisit the first trailer for the game here.